A tortured man...A fearless woman...A mistake that'll change their lives forever. Three centuries ago, Devin Moore sacrificed his sanity to save his sister. Every day since is spent in a constant battle of wills with the three crazed cats--lion, tiger and jaguar--he houses. Keeping his shattered mind together has taken its toll, destroying any hope of having a family, but he can't turn his back on innocents in need. When information on his pride's missing child reaches him, he rushes to bring her home. But the rescue mission goes horribly wrong. Lena, the human female who turns herself into bait in order to protect the little girl, is wounded and struggling to survive. In a desperate act, he saves Lena. But it doesn't erase his past mistakes. And for a broken man who's finally offered hope, there's only one thing left to do--prove his worth. The only problem? He'll never be whole. Or sane. But maybe...just maybe...even the damned can find peace. Devin is the tamer version of Beautiful Mistake by Nancy Corrigan. 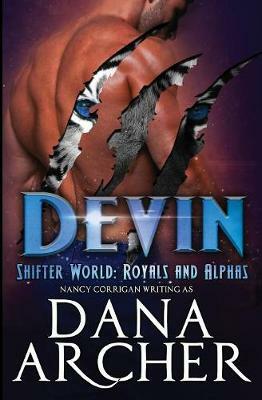 Enjoy getting lost in the Shifter World without explicit love scenes or harsh language. Please be advised there are still sensual scenes (kissing and adult references) and fight scenes in this book.